Once again Eastern Europe is the location of a geo-political struggle that could define Europe's security for a generation. Moldova, a small country with a long history of foreign meddling, is at the epicenter of Eastern Europe. It is time for policymakers in the West start giving this tiny country more attention. Russia is doing all it can to prevent countries like Moldova from joining traditional Euro-Atlantic organizations like NATO or the EU. As if Russian meddling isn't already enough, Moldova has to deal with a weak economy and rampant corruption. This toxic mix has led to the rise of powerful, corrupt and criminal oligarchs who have privatized both the economy and the state. At the head of this ensemble of oligarchs is Moldova's richest man, Vladimir Plahotniuc. Although his only official, title is the vice-chairman of the Democratic Party, his closeness to the current Prime Minister Pavel Filip has raised some eyebrows. As Renato Usatii, a pro-Moscow opposition politician summed up: "He doesn't just control the country, he owns it." Accusations of corruption and sleaze against Plahotniuc and his associates are commonplace. In their center is the role he may have had in "the world's greatest bank robbery" in 2014 when approximately $1 billion went "missing" from three major banks in Moldova. 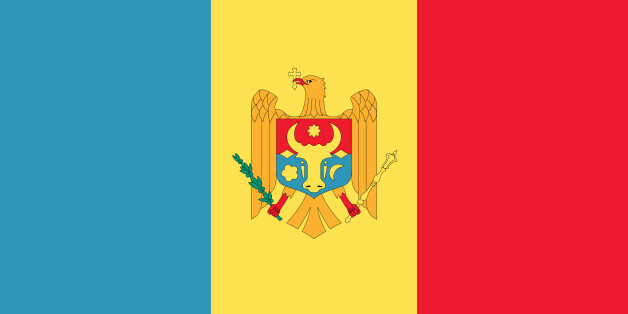 The missing $1 billion dollars from 2014 alone equates to 12% of Moldova's GDP. If a similar incident occurred in the USA this would be equivalent to $2.3 trillion going missing from U.S. banks! Then-Prime Minister Vladimir Filat and his sidekick the banker Ilan Shor are currently in jail for their connection to the affair, and many suspect Vlad Plahotniuc was involved too. Now, U.S. officials and even the British Parliament are looking into the matter. The 2014 case is not an isolated incident. Over the years, corrupt oligarchs have been robbing the country blind and have perfected money laundering to an art. Many senior politicians and officials are directly involved with these reprehensible schemes, others were merely beneficiaries. All are responsible for the country's economic and political plight. To date, funds from Russia, including the infamous Magnitsky Affair, from Libya, and from Iraq, were laundered through Moldova, says Mihail Gofman, a former Moldovan senior law enforcement officer, who blew the whistle of the oligarchs' global money laundering activities in Washington. The theft of billions of dollars was simple. The process went like this: After securing a majority control stake in a major commercial bank, by nefarious means, corrupt oligarchs would instruct loans to be made to fake companies owned by people whose identities remain veiled in a maze of offshore corporations. The money promptly disappeared offshore to the U.S., EU and the UK. Moldovan judges and prosecutors were involved and bribed. So were senior government officials and politicians. The National Bank of Moldova then injected hundreds of millions of dollars into the different commercial banks to keep them afloat after so much money "disappeared". This process is then repeated over and over. Much of Moldova's National Bank reserves that have been used to prop up commercial banks came from, in part, a $1 billion tranche given to the country from the IMF. Now, in order to fill the hole in the National Bank tax increases or bond issue have been proposed, instead of the culprits repatriating the loot. In other words, taxpayer's money from the U.S. and the EU, with the possible help from impoverished Moldovans, is used to line the pockets of some of Eastern Europe's wealthiest oligarchs. To return these funds and to stop systemic money laundering, U.S. personal sanctions against Plahotniuc and his cronies, modeled on the Magnitsky List, would be a good start. Presidential elections are scheduled for October of this year. What Moldova needs is not another power-hungry oligarch wielding unaccountable influence across government and business. Instead it needs a clean politician with integrity, - and with solid western ties. Today, the most popular presidential candidate is the Harvard Kennedy School educated former Minister of Education Maia Sandu, a respected economist who recently founded a pro-Western Action and Solidarity Party. Earlier this month she announced a presidential run. Last Thursday, she called for IMF and banking system transparency and opposition unity before any more IMF credits are forthcoming. It remains to be seen how she takes on the oligarchs. As the West develops its strategy to deal with a resurgent Russia, it must recognize that Eastern Europe is a region just as important today as it was during anytime in Europe's recent history. If the West wants to help keep Russian influence at bay, it must stays engaged with Chișinău and develop a long-term strategy that helps the country reform, fight corruption and democratize. The effort will be worth it, even if it takes generation.